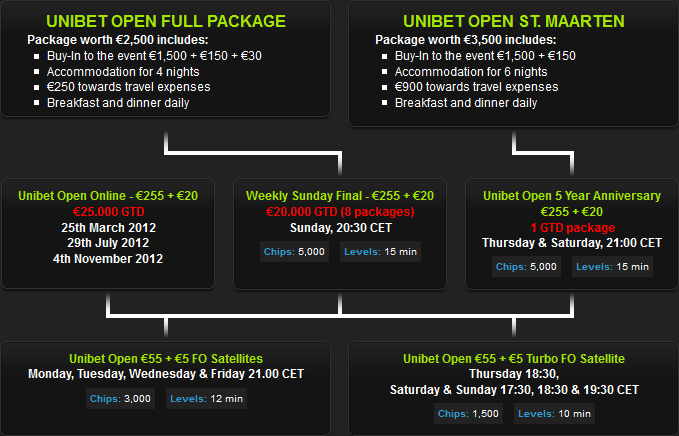 Open a Unibet account through Rakeback.com and you will be automatically eligible for our exclusive** freeroll. Top 30 players will receive a Unibet Open satellite ticket worth €60. Take advantage of this great exclusive offer for Rakeback.com players. The €60 tournament ticket can be used to enter into the satellites noted below. * – A minimum of 3 players is required for the freeroll to begin.